In mine had a SQL Prompt license. At first I was a bit disappointed, I hoping for SQL Test license or a full blown SQL toolbelt but the more I’ve been using it, the more I’m loving it. 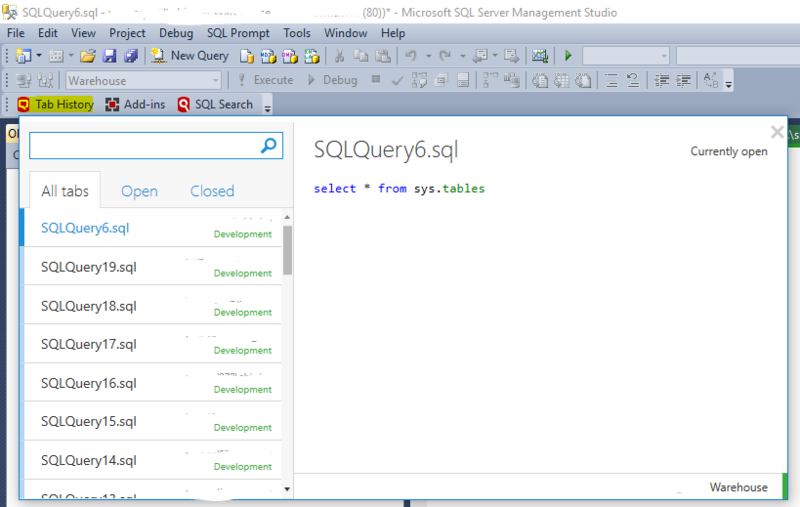 The fact it re-opens the tables you had open the last time you were in SQL Management Studio, that it has a history. I’d like to say I never close the wrong window, especially when I haven’t saved them, but I do. Luckily with SQL Prompt it allows me reopen it. I would literally kill for : GROUP BY EVERYTHING , ie group by everything im not aggregating.